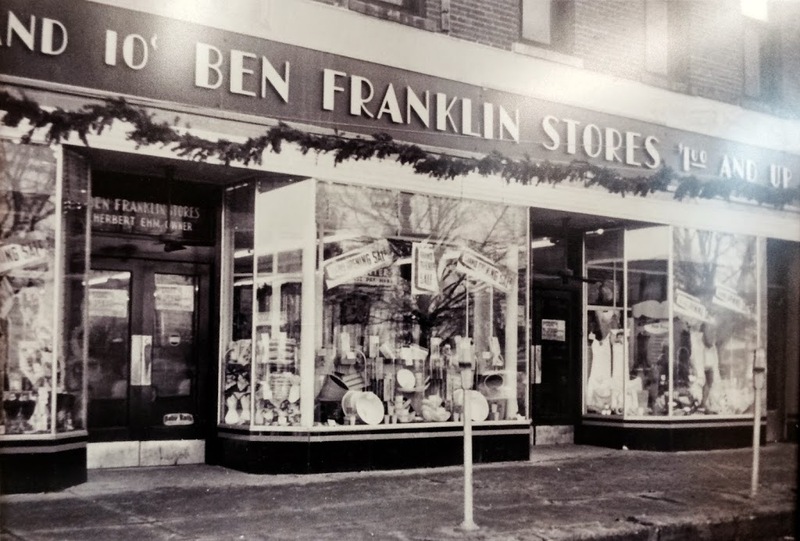 As you may know, the Winterset Ben Franklin store has been quietly celebrating its 75th anniversary this year. It opened on June 10th, 1939, owned by Herb and Wilma Ehm. (My folks bought it from the Ehms in 1978.) Here’s a picture of it at Christmas time in 1941, trimmed with evergreen garland. 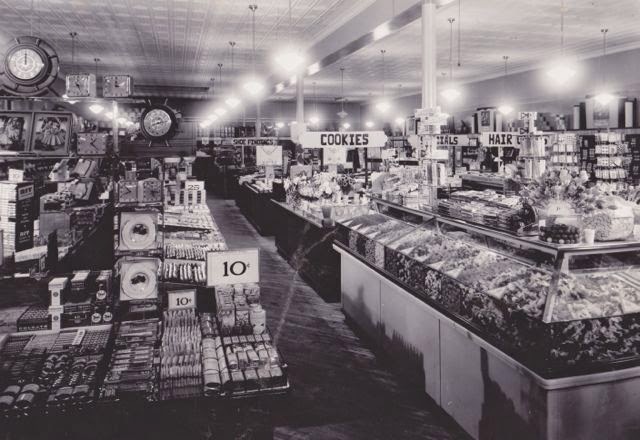 Wouldn’t it be great to step back in time to see those window displays? 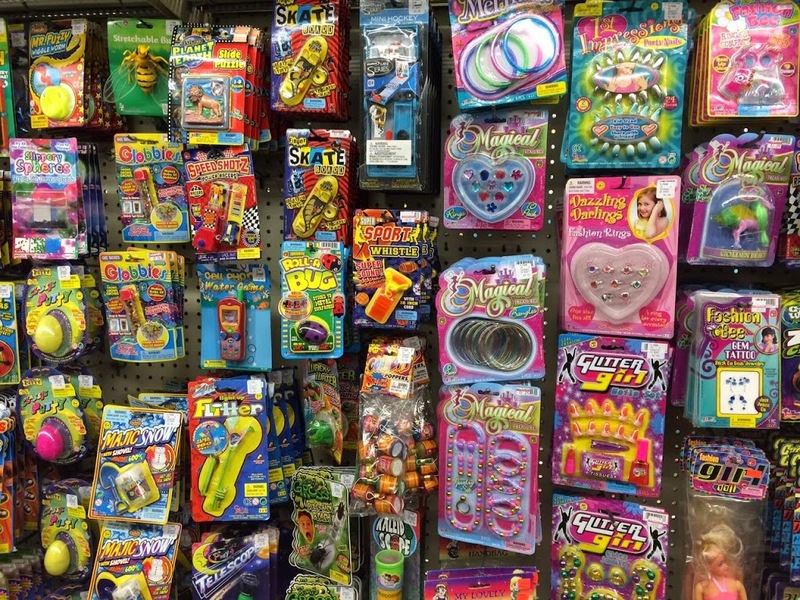 Ironically, most of the “nostalgic toys” they now carry are more recent in origin than the store itself! They probably sold them in their first run too, back in the 50s and 60s. For the last 36 years, Ben Franklin has been the best place to find my parents if I want to see them at all between Thanksgiving and Christmas. 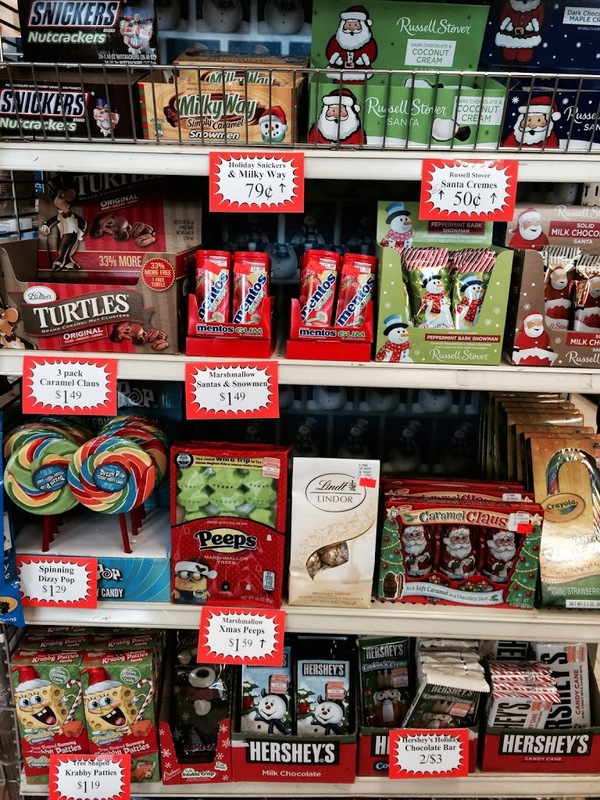 So, let’s step inside this classic variety store as we head into the final stretch of the 12 Days of Shopping Local, now up to #9! I spent a lot of memorable holiday seasons working at Ben Franklin when I was younger (from elementary school to college), and I know first-hand, it gets busier each day as Christmas approaches. The closer the big day gets, the more people start to a) think about all the little details and b) panic. This is where Ben Franklin comes in to save the day! 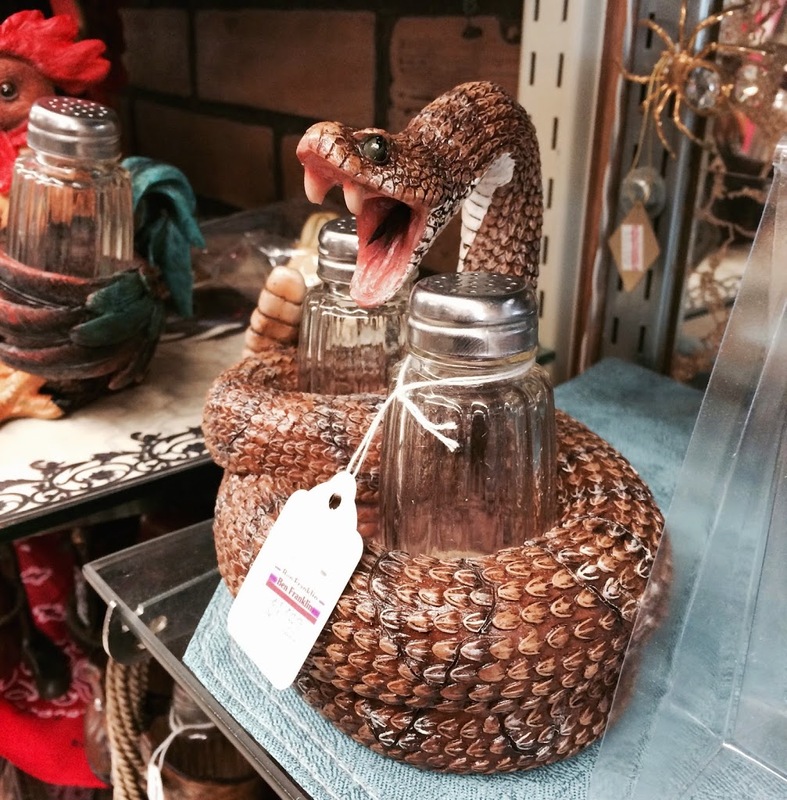 …and items from their massive dollar aisle. There’s a lot of play value here for the money! 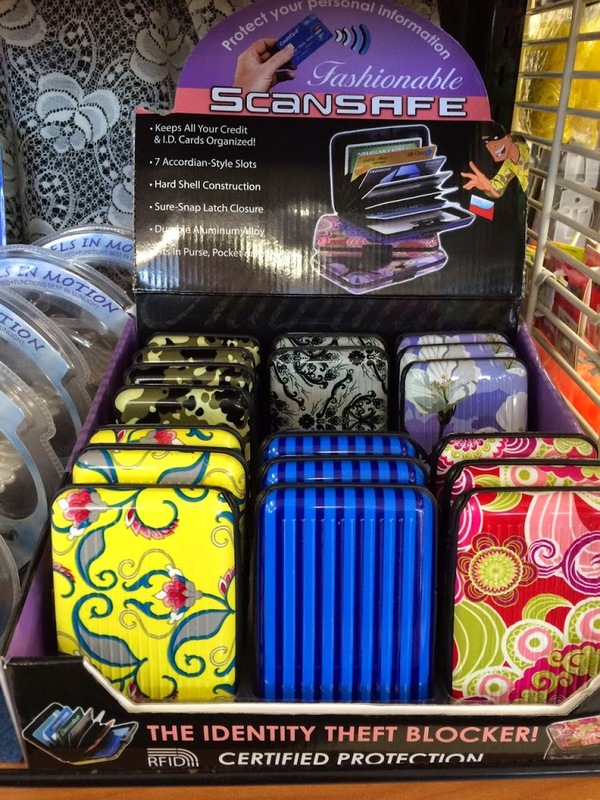 They also have some unique small items such as these Scansafe wallets, which have been a hot seller because they protect against identity theft by encasing your cards with durable aluminum alloy and certified RFID protection. Little details also include wrapping paper, bows, gift bags, and tape. 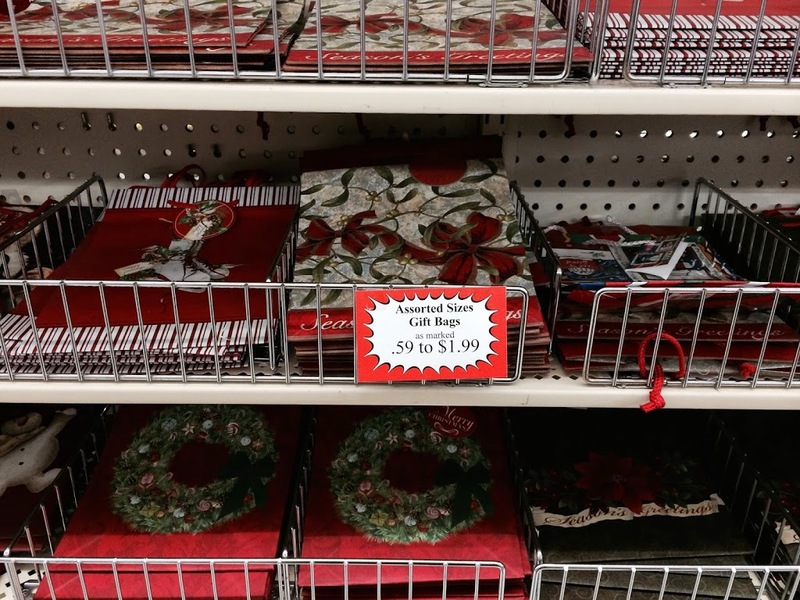 Great prices on gift bags! And if you’re still trying to figure out what to get the person who has everything, you will find it here. red-eyed tree frog, and cowboy, among others. 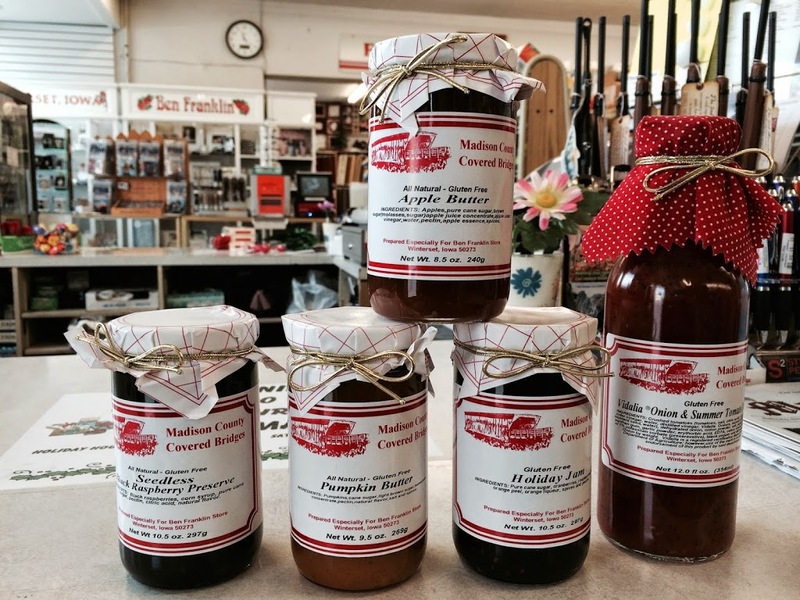 Madison County Covered Bridges jams, jellies and dressings are also a good gift for anyone, and most of them are gluten free. These are the most popular sellers at holiday time, and the “Holiday Jam” in particular is so good that people keep coming back for more. 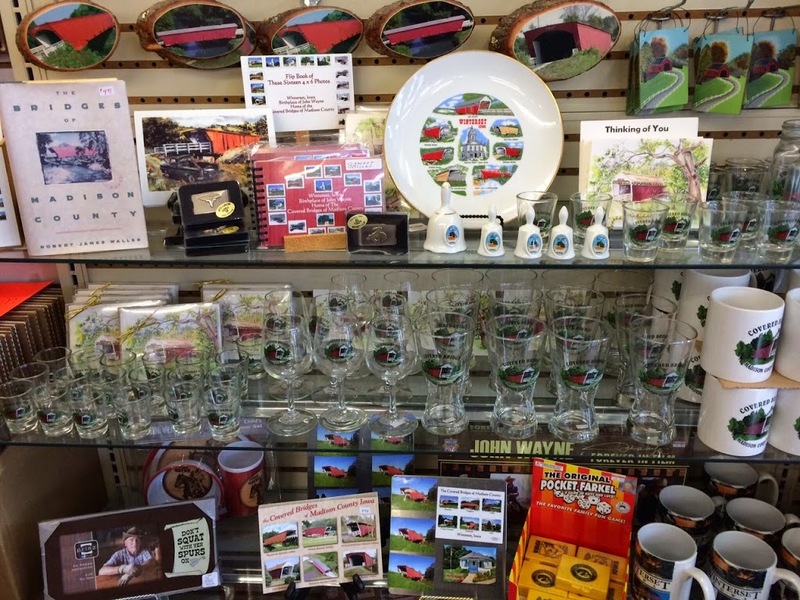 Winterset and Madison County items are great for friends and family who used to live here or have relatives that do. They also have something for the men on your list. 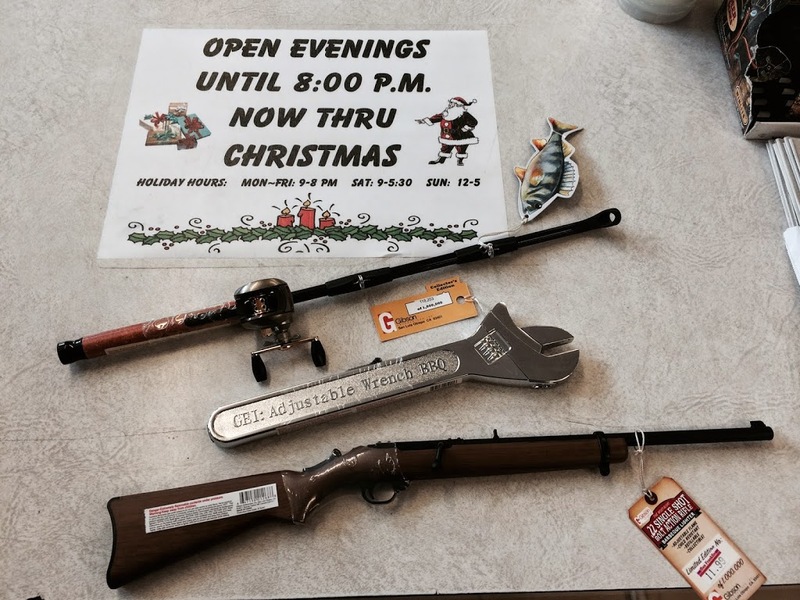 How about a barbecue grill lighter in the shape of a fishing pole, wrench, or rifle? 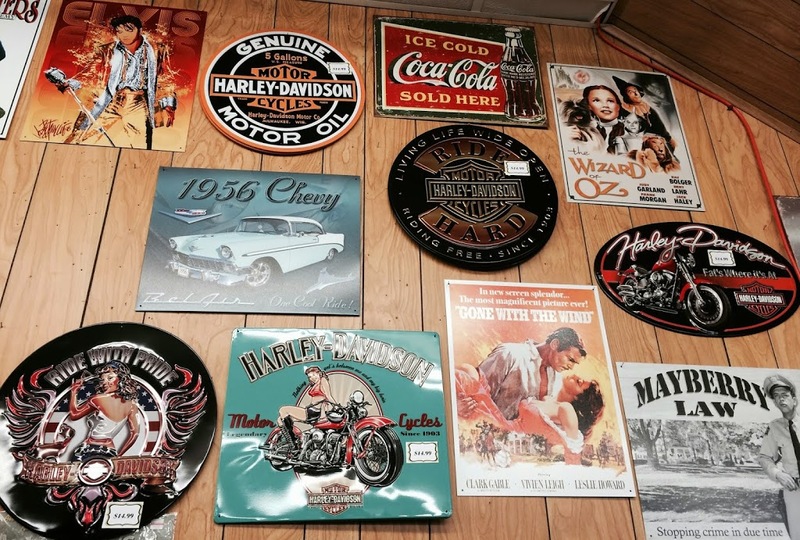 Or, there’s a whole new assortment of metal signs, including several Harley Davidsons. Finally, when the meal and gift exchange frenzy has subsided at your holiday gathering, you may have a house full of people who don’t see each other very often, and not much to do. 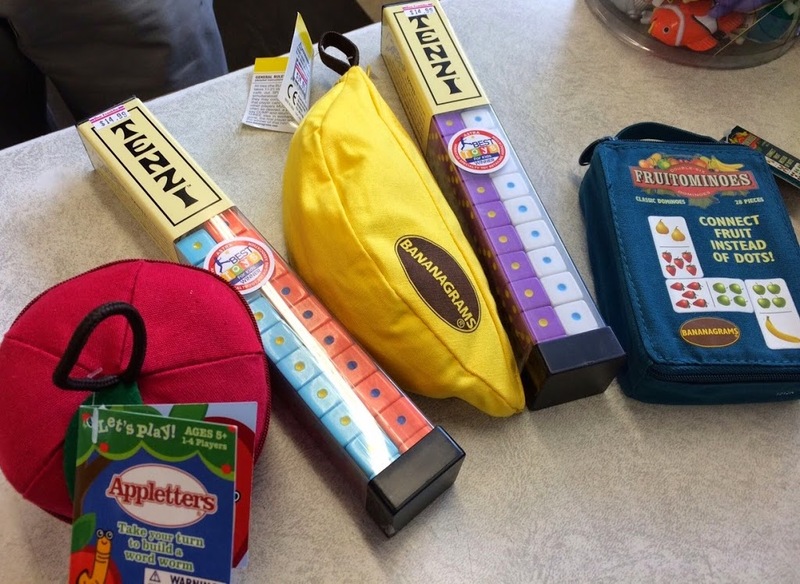 Be prepared with some games and activities the whole group can enjoy! 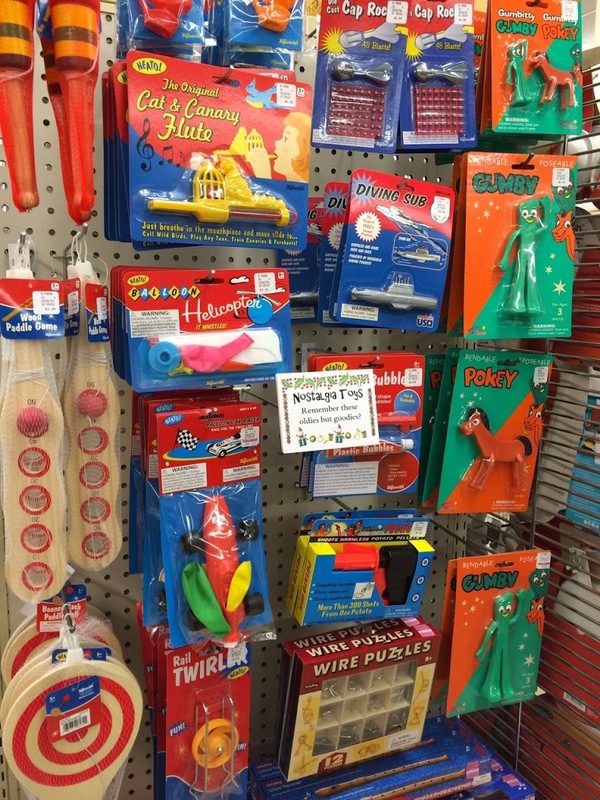 These are great choices for all ages to play together. 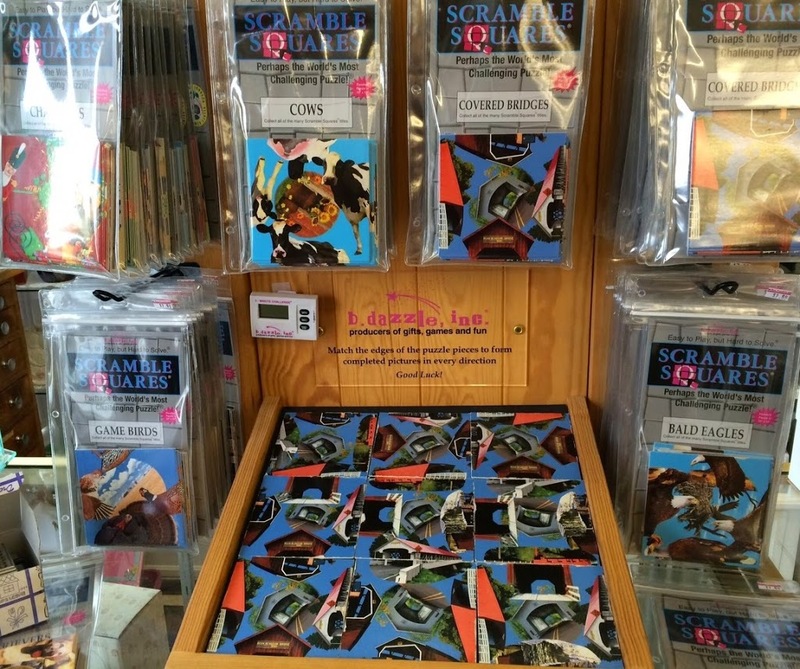 “Scramble Squares” puzzles are just nine pieces each, easy to maneuver, but very challenging to complete! There are several varieties, and one of them features a Madison County covered bridge. The store has extended hours during the holiday season for all your last-week-before-Christmas needs. They are open weekdays from 9:00 a.m. to 8:00 p.m., Saturday from 9:00 to 5:30, and Sunday from noon to 5:00. They will also be open on Christmas Eve until 3:00 p.m. (closed on Christmas Day). … and it’s a regular zoo in there at Christmas time. In the very best way, of course! 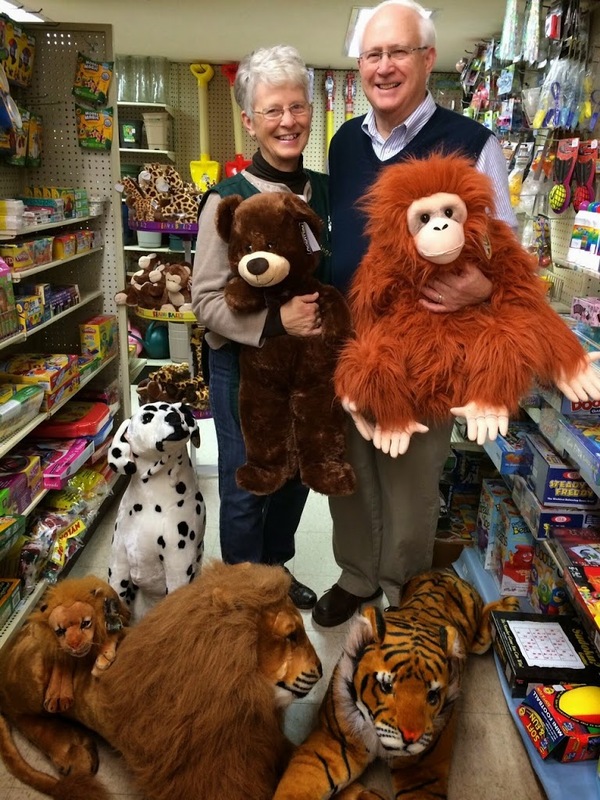 Merry Christmas from Dave and Judy Trask and the whole crew at Ben Franklin!